Only a week or so to go now! Spring migration is reaching its peak here in Korea, with a wonderful diversity of bird species: time for our fifth annual Birdathon (May 2nd-10th) in celebration of World Migratory Bird Day. The annual Birdathon is an enjoyable way to help raise extra much-needed funds for our conservation work and to help family, friends and work colleagues learn a little more about your love of birds and birding! The 2015 Birdathon will help raise funds towards publishing the Korean-language version of our pioneering report “Status of Birds” (approximately 3million won / 3,000 USD) and to support the full attendance of Birds Korea at September’s international workshop on the Endangered Scaly-sided Merganser Mergus squamatus, to be held in Russia (approximately 1million won / 1,000USD to ensure that two Birds Koreans can attend). Both are important for the future work and direction of Birds Korea. Birdathons can be of any length, from one hour to a full 24 hours, starting or finishing within the period Saturday May 2nd– Sunday May 10th. Participants can bird on foot or use any form of transport (with the encouragement to calculate and to mitigate their carbon footprint). Participants aim to see or hear as many species as possible within the time limit. All species seen or heard, as long as they are given full species status on the Birds Korea 2014 Checklist (or by the IOC or national checklist authority for overseas Birdathons) can be considered “recorded”. A completed checklist (in English or Korean, using the Birds Korea 2014 Checklist or relevant authority) is to be sent to Birds Korea no later than May 15th please. Those birdathons completed on May 9th will also be submitted to e-bird, as part of Cornell’s “Global Big Day”, if checklists are submitted by May 12th. Participants find sponsors to donate money: either money for each species, or a total. Birds Korea regrets that although we are a legally-registered NGO, our status does not yet allow sponsors to receive tax-breaks for their donations. Thanks to your support, the Birdathon raised over 2million won in 2014, contributing to our successful delivery of the landmark publication “Status of Birds, 2014” at the 2014 Convention on Biological Diversity COP. 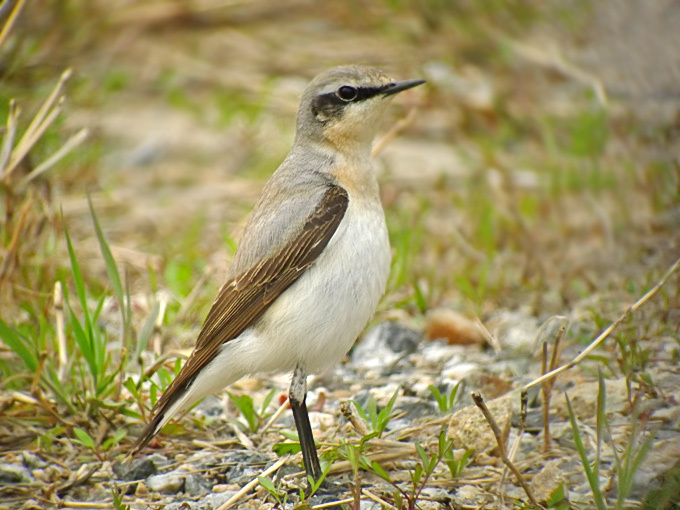 Northern Wheatear Oenanthe oenanthe (© Jason Loghry): just one of the many extraordinary migrant birds recorded during the 2014 Birdathon. Wintering in Africa, this species migrates to points northwest, north and northeast, to breed in Asia, Europe and even western North America!